Obesity is a problem that’s taking bigger and bigger proportions (especially in the US), due mostly to fast food and lack of physical activity, and it seems that most people still fail to understand the major bad impact it has on one’s health. However, thanks to a recent study published in the February 2010 issue of the American Journal of Preventive Medicine, it’s now safe to say that obesity is just as bad as smoking. 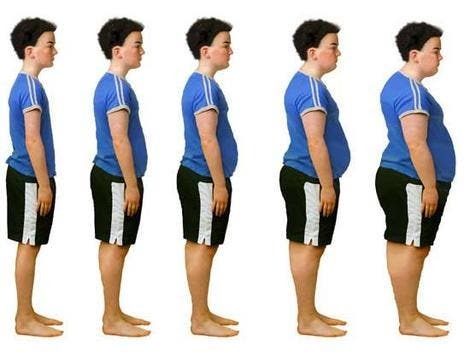 The study was conducted by researchers from Columbia University and The City College of New York and it analyzed the Quality-Adjusted Life Years (QALYs) lost due to obesity and found that they are equal to those lost due to smoking, if not greater. The thing is, both obesity AND smoking are modifiable risk factors; all it takes is eating a salad every once in a while and maybe taking a run (or even a walk) in the park a couple of times a week. It sounds cheesy but… think what this means especially if you’re obese and smoking.